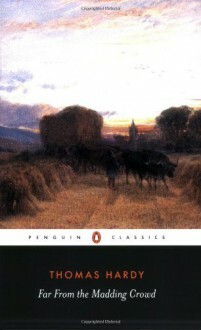 Set in his fictional Wessex countryside in southwest England, Far from the Madding Crowd was Thomas Hardy's breakthrough work. Though it was first published anonymously in 1874, the quick and tremendous success of Far from the Madding Crowd persuaded Hardy to give up his first profession, architecture, to concentrate on writing fiction. The story of the ill-fated passions of the beautiful Bathsheba Everdene and her three suitors offers a spectacle of country life brimming with an energy and charm not customarily associated with Hardy.